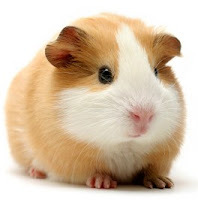 The 1709 Blog: From Sheffield TV shack to US gaol: how far will this guinea pig go? From Sheffield TV shack to US gaol: how far will this guinea pig go?
" ...A Sheffield Hallam University student will learn whether he is to be extradited to the US to stand trial over alleged infringement of copyright. Richard O'Dwyer, 23, is accused of operating a website that offered free downloading and streaming of thousands of copyright films and television programmes without permission from copyright holders. The undergraduate earned money through hosting advertisements on the TVShack website, allegedly receiving more than 230,000 US dollars (around £147,000) in advertising revenue since January 2008, according to the US authorities. His lawyer, Ben Cooper, argued that the site did not store any copyright material but merely pointed users to other sites where they could download films and TV shows. He said the website linked to other sites in the same way as Google and Yahoo operate, and people were not able to view a film from TVShack directly. Mr Cooper added that his client would be the first British citizen to be extradited for such an offence and he would effectively become a "guinea pig" for copyright law in the US. John Jones, for the US authorities, said the victims of the alleged offences included the film studios. He said the website highlighted the savings that could be made in cinema tickets in the US ..."
If you're in Central London today and want to watch a bit of legal history in the making, get down to the Westminster Magistrates' Court at 2pm, when the application to extradite O'Dwyer will be heard. If it is granted, O'Dwyer will face charges of copyright infringement and conspiracy to infringe copyright. This blogger will be offline this afternoon, but hopes that any reader who attends the hearing will send him an account which, ideally, will be posted on the blog this weekend. It would be interesting to see the extradition of a publishing corporation alleged to have infringed (or conspired to have infringed) copyright. Do they have jails for corporations yet? Or do they just strike them off? Looks like this might become a re-run of the Gary McKinnon saga. Thank you Andy. I have now updated the blog pages with what I could glean from the UK press - and yes - it does look like another McKinnon re-run - upset mum included! I'd be interested in the views of more knowledgeable heads than mine, but the verdict for extradiction would appear to turn on a rather dubious interpretation of the phrase "making available", so (it seems to me) one might well expect this to be considerably re-cast on appeal. The defence appear to have relied heavily on the TV-Links case (R v Rock & Overton at the Crown Court in Gloucester, T20097013, decided by His Honour Judge Ticehurst on 6th February 2010). In the TV-Links judgment, Judge Ticehurst found that a similar links site was protected by the "mere conduit" clause of the e-commerce directive ([which on the face of it seems questionable, though not impossible depending on the facts ? ]); and that merely linking to files made available by others was not "making available" for the purpose of s.107(2A) CDPA ([which seems correct, though the actual language of the statute is "communicating to the public" ?]). HHJ Ticehurst (@ para 71) in Rock & Overton held “make available should bear its ordinary and natural meaning”. He distinguished between providing money “directly to” another as opposed to a financial adviser who may “point” another to a bank meaning the bank alone “makes available the money”. I have endeavoured to weigh these subtle distinctions. The diagrams of how as a matter of electronic mechanics (if I may term it) the TVShack websites actually operated favour HHJ Ticehurst’s restrictive construction. To my mind there is much in the distinction factually, always remembering these matters are allegations of conduct which a trial court alone can resolve – that Mr Jones contends between the instant matter and Rock & Overton. I also have in mind the mischief Parliament had in mind. Accordingly in my judgement I am satisfied the conduct alleged in the instant request meets the dual criminality test and would be an offence in this jurisdiction. Something the defence doesn't appear to have raised is the judgment in the civil case of Newzbin ( EWHC 608 (Ch)), before Mr Justice Kitchin. This is perhaps understandable, because Kitchin found that Newzbin were actually engaged in "communication to the public" (at paragraphs 113 onwards). But to reach that view, he emphasised in his conclusion at 125 that Newzbin did not "simply provide a link to a film of interest which is made available by a third party". The offence in s107(2A) is now available as a tool to trading standards officers to prosecute uploading file sharers of digital product, such as film and music, whether or not they do so in the course of a business. [Emphasis added]. Such inducement may well indeed be actionable as contributory infringement in a civil court (which may well be where O'Dwyer should have been taken). But as I understand it, there are some things that Parliament takes the view would be better decided by an experienced judge in Chancery, than placed before a random British jury. I have also seen some suggestions that indirect or contributory infringement, as opposed to direct infringement, may not actually be a criminal matter in the United States either -- this is something that perhaps American readers of the blog could comment on. O'Dwyer is sought by the Southern District Court on a charge of "conspiracy to commit copyright infringement" as well as one of "criminal infringement of copyright", which may in part have been put forward to address this point. Does it also leave open the possibility that even if an Appeal Court took the view that the alleged behaviour would not be directly criminal under s.107(2A), that a more general Conspiracy charge might run in the UK, and therefore give grounds for extradition restricted to that count? The judge bats away more general concerns about the most appropriate jurisdiction to hear a case in section 9, the penultimate section of his judgment. I can't help thinking personally though, that with the alleged infringer being UK-based, and operating entirely from the UK, and the alleged infringement being worldwide in scope rather than directed to any particular territory, then if this is supposed to be a crime under UK law it should have been tried under UK law. And if it is not a criminal matter under UK law, then he should have faced civil proceedings -- for which the appropriate venue would surely have been found to be the UK, not the United States. In the TV-Links judgment, Judge Ticehurst found that a similar links site was protected by the "mere conduit" clause of the e-commerce directive ([which would appear to be questionable, though not impossible, depending on the facts ? ]); and that merely linking to files made available by others was not "making available" for the purpose of s.107(2A) CDPA ([which would appear correct, although the actual language of the statute is "communicating to the public" ?]). @JH. Many thanks for the link to the judgment (good thing it's Crown Copyright, otherwise you and the 1709 blog might well have been guilty of conspiracy to infringe by posting that!) and your useful analysis. I would add by way of comparison to the 'making available' offence, HHJ Birss's comments [19 iii] in the early stages of the MediaCAT case, that leaving one's Wifi unsecured or allowing other family members to use a internet connection cannot be interpreted as 'authorising' contrary to s 16(2) of the CDPA. Of course PCC judgments aren't binding on the higher courts, but an interesting citation for the Appeal I would have thought. ALCS to lose educational copyright income? Does copyright works if 'the price is right' ?